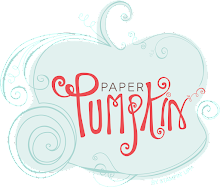 Today’s post is using one of the new stamp sets from the 2017-2018 Stampin Up catalog. It’s called Lemon Zest. Of course it can be used to make limes and oranges as well. 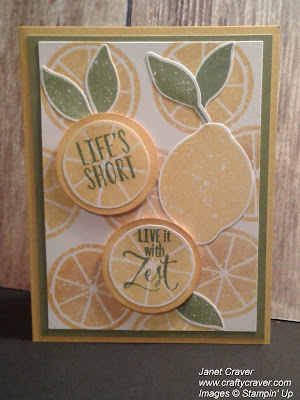 It has some of my favorite life sentiments such as “If life hands you lemons….Squeeze it for all it’s worth!” or “Life’s Short….Live it with Zest”. It reminds us to find the good in whatever comes our way. 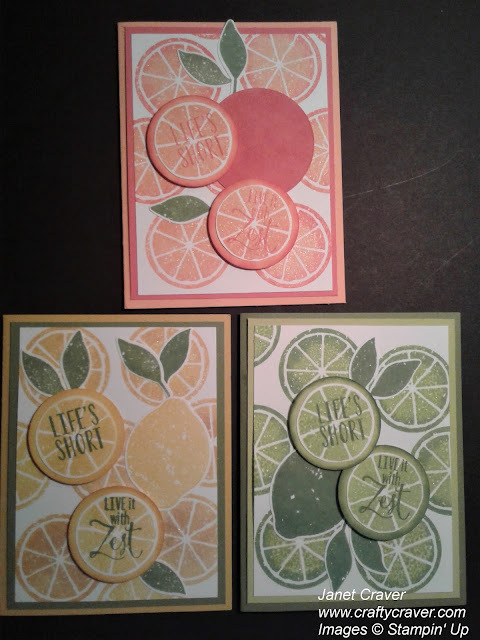 I have four cards for you, but it’s really just one card done with different fruits…I’m mean colors. Measurements were the same on all cards. 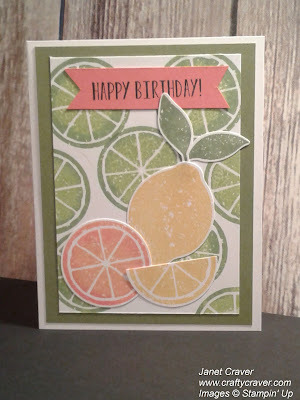 Lemon slice is stamped first with Daffodil Delight then using a sponge dauber, I added Crushed Curry to the edges of the stamp before stamping on to the paper. This technique adds a little extra depth and shading to make the fruit look more real. 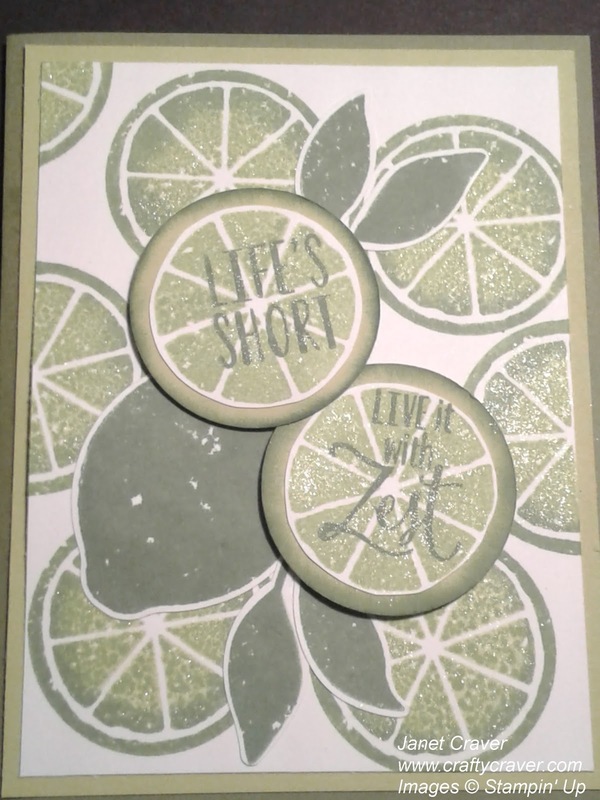 Sentiments stamped with Garden Green. Stamped slices are daubered and adhered with deminsionals. Clear Wink of Stella is used on all of the slices. It really makes them look juicy. Orange is cut out using a 2.25” framelit and daubered with Calypso Coral to give the feel of the orange peel texture. 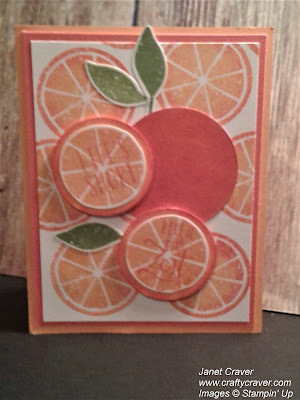 Orange slices are stamped first with Peekaboo Peach then using a sponge dauber, I added Calypso Coral to the edges of the stamp before stamping on to the paper. 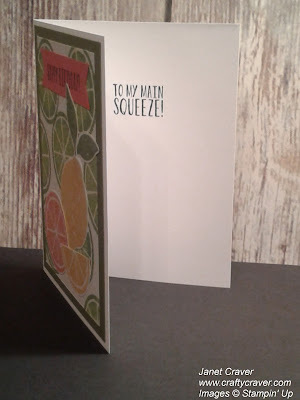 Sentiments stamped with Calypso Coral. Stamped slices are daubered and adhered with dimensionals. Clear Wink of Stella is used on all of the slices. Lime slice is stamped first with Lemon Lime Twist then using a sponge dauber, I added Garden Green gently to the edges of the stamp before stamping on to the paper. 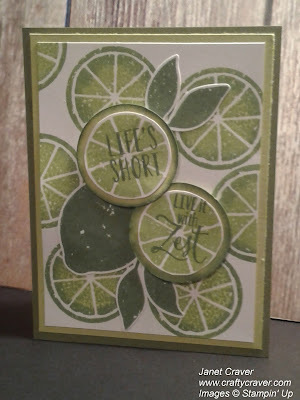 Sentiments stamped with Garden Green. Stamped slices are daubered and adhered with dimensionals. Tried to give you a close up shot so you could see the Wink of Stella. This last card combines all the colors because I used my left overs! And it looks colorful as well.